Dr. Stoyan Sarg (Sargoytchev) was born in Bulgaria in 1945. He obtained a diploma of electrical engineer and PhD in Physics. From 1973 to 1990 he participated in space research projects coordinated by the international program Intercosmos established by the former Soviet Union. From 1990 he was a visiting science for 1.5 years at Arecibo Observatory, Puerto Rico, operated by Cornell University and NSF. After immigrating to Canada in 1991 he used to work with the University of Western Ontario, the Center for Earth and Space Technology and currently he is with the York University, Toronto. He participated in number of space research projects funded by the Canadian Space Agency. He has about 70 scientific papers related to the space research and 4 US patents. Apart of NPA membership he is a member of the Society for Scientific Exploration anda Distinguished Scientific adviser t the World Institute for Scientific Exploration. He uses four languages: English, French, Russian and Bulgarian. One of the most important theoretical work of Dr. Sarg is the monograph "Basic Structures of Matter" Supergravitation Unified Theory - (BSM-SG), published firstly on-line in 2001, followed by articles in Physics Essays and on-line Journal of Theoretics and then published in two books (a scientific and a popular version). 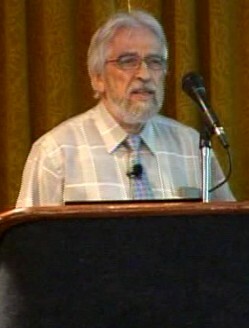 From 2005 till 2007 he presented reports about this theory in five international conferences. A books review of his theory is published in the journal Physics in Canada, v. 62, No 4, 206-207, (2006). His reecent book dedicated to the cold fusion issue is: Structural Physics of Nuclear Fusion: - with BSM-SG atomic models (2013). Dr. Sarg is doing also experimental research on antigravity following the predictions of the BSM-SG theory.